Race 3, released last Friday and did a weekend of 106.47 crores. Yes, the movie didn’t receive some very positive word of mouth but it trended very well over its 1st weekend. The Salman Khan starrer although opened big will probably earn a notch under on Monday in comparison to the weekend. On Sunday Race 3 brought in a massive 39.16 crores and made the movie the second highest weekend of this year, but is expected to take a dip on weekdays as the weekend moolah is over and audiences word of mouth comes into play. Directed by Remo D Souza the third installment of the Race franchise sees superstar Salman Khan, Anil Kapoor, Bobby Deol, Saqib Saleem, Freddy Daruwala, Jaqueline Fernandez and Daisy Shah in pivotal roles. One thing common in every review was that the film lacks a strong storyline and has impressive action sequences. If people continue to flock the movie theaters we assume its to see superstar Salman Khan shirtless. The movie that will stand in between Race 3 breaking further records is Ranbir Kapoor’s Sanju. Releasing on June 29th, the film has created ample buzz around and fans are eagerly waiting to see the intriguing life of veteran Sanjay Dutt on the silver screen. Even Sanju’s trailer has received comparatively more views compared to Salman Khan’s Race 3. Salman Khan’s Bharat To Go On Floors On 17th July – Exclusive Details About 1st Shooting Schedule! Race 3 Box Office Day 4 (Monday) Early Trends: Salman Khan Surprises Yet Again! It’s an exciting wait and watch situation as when Sanju releases the screens, shows, and footfalls are bound to get divided. Director Raju Hirani has given a string of critically acclaimed blockbuster gems such as PK,3 Idiots, Munnabhai MBBS and many more. Will Sanju add to the list of the director’s superhit list of films? Moreover, will Ranbir Kapoor’s Sanju be able to break records created by Race 3? 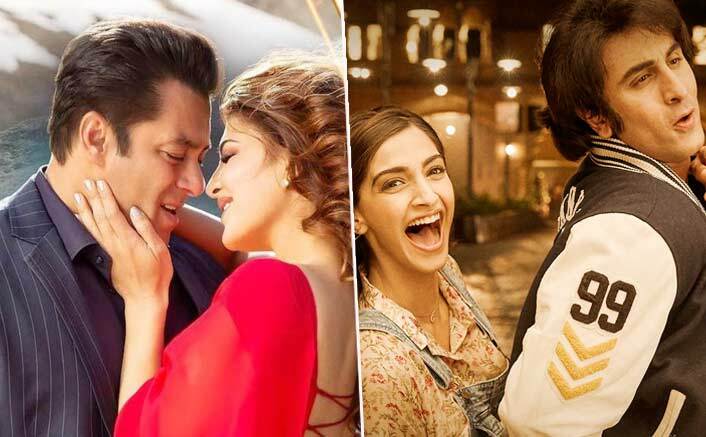 The post Race 3 Weekend 1 Box Office: Will Ranbir Kapoor’s Sanju Be Able To Break It? appeared first on Koimoi.